The by-elections to Ater Assembly seat in Bhind district and Bandhavgarh (ST) constituency in Umaria district in Madhya Pradesh began on Sunday morning. Reports of stone-pelting were received from a polling booth in Ater but police brought the situation under control, an election official said. The by-elections to Ater Assembly seat in Bhind district and Bandhavgarh (ST) constituency in Umaria district in Madhya Pradesh began on Sunday morning. 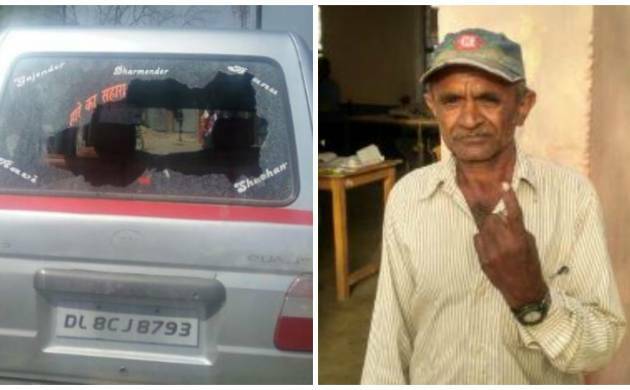 Reports of stone-pelting were received from a polling booth in Ater but police brought the situation under control, an election official said. So far, over 10 per cent polling has been recorded in Ater while nearly nine per cent votes have been polled in Bandhavgarh, he said. The official denied reports that Sankri polling booth in Ater was captured. A few vehicles were damaged in the incident, the official said adding that the situation was under control and polling was not disrupted. He also said that reports of EVMs not working at some polling booths in Bandhavgarh were received, but they were rectified and the voting was underway. In Ater, the Congress has fielded Hemant Katare, son of former Leader of Opposition Satyadev Katare, whose death necessitated the bypoll. The by-election in Bandhavgarh seat was necessitated as its MLA Gyan Singh was elected to the Lok Sabha in November last year. The main contest in Bandhavgarh (ST) seat is between BJP’s Shivnarayan Singh, son of Gyan Singh, and Savitri Singh of Congress.The counting of votes will take place on April 13.